Australia or South Korea: which country is more expensive? 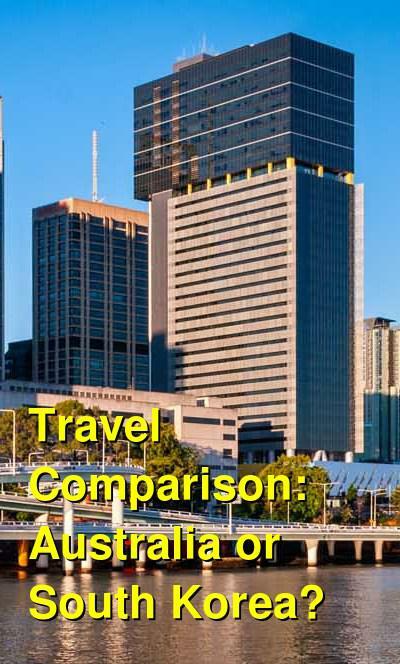 This comparison of travel costs between South Korea and Australia examines average prices across multiple categories. Please visit each country's individual budget page for more detailed information. Should you visit Australia or South Korea? South Korea is generally cheaper than Australia for a variety of reasons. Even though both countries offer modern luxuries and conveniences that western tourists have become accustomed to, Australia is still more expensive due to its overall higher cost of living. 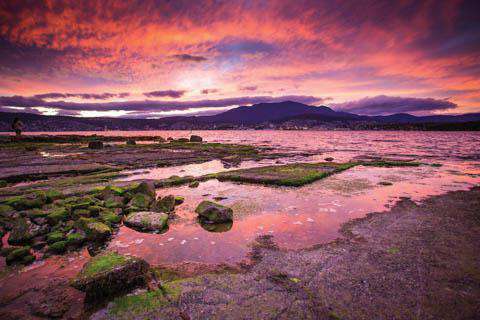 Australia is a large and diverse country both in its landscapes and cultures. On the coasts you'll find great beautiful beaches and big cities. In the north are tropical areas known for wildlife. And in the center is deserts, forests, and geological wonders like no place else on Earth. The Outback, the Great Barrier Reef, the Blue Mountains, Ayers Rock, Surfer's Paradise, and the Sydney Opera House are just a few of the world famous locations to see in Australia. South Korea is a modern, cultural, and moderately priced Asian nation with a diverse number of sights and activities for its relatively small geographical size. Here you can experience big cities, rural countryside, beautiful mountains, unique national parks and relaxing beaches. Modern, western conveniences are all around, and at a price that is a little cheaper than Europe or North America, but still more expensive than many other destinations in Asia. When is the best time to visit Australia and South Korea? Australia, being in the southern hemisphere, experiences warm summer months from November to April, and colder winter months from May to October. However, northern Australia is fairly close to the equator, and experiences warmer weather year-round. At the same time, southern Australia experiences four full seasons (much like the U.S. and Europe), with cold winters and warm, humid summers. Much of northern Australia can be visited year-round due to the warm tropical climate and mild winters. However, the best time to visit Australia's beaches and big cities of the southeast is in the Spring, Summer, and Fall (avoiding June, July, and August as they are the coldest months). Traveling to Australia in the shoulder seasons can often lead to cheaper prices. South Korea experiences four seasons, and winter can be cold with a decent amount of snow. However, skiing in the mountains is quite popular, so don't let winter turn you off. However, with warmer summer temperatures, this means that South Korea's peak travel season is from May to September. During this time you can expect more crowds and higher prices, but also more comfortable temperatures and more activities. Why is Australia more expensive than South Korea? Australia is a modern, first world nation with a high cost of living, modern technological and industrial economy, and thriving middle class. All of these factors raise the overall prices for travel in Australia compared to much of the world, especially some of its Pacific and Asian neighbors. Modern hotels and restaurants can be found everywhere, providing the level of luxury and modern conveniences that western tourists from the U.S. and Europe expect. However, this level of luxury comes at a higher price. While South Korea's economy and cost of living are higher than average for Asia, the country is still growing. This means relatively lower prices all around compared to some of its economically prospering neighbors. Due to the strong supply of tourist-related businesses, along with this still growing cost of living, South Korea is often considered an inexpensive and affordable (but very modern) tourist destination for visitors from the U.S., Europe, or Australia. What are the most expensive and cheapest cities and regions in Australia and South Korea? 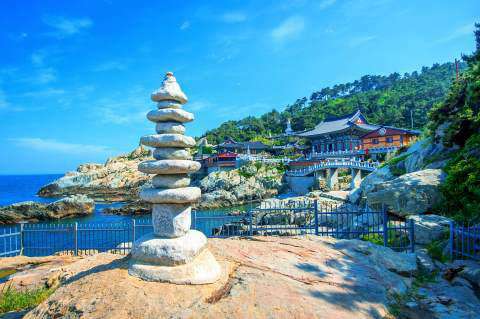 Haedong Yonggungsa Temple and the Haeundae Sea in Busan, South Korea. The beach areas of Australia can be fairly expensive, especially in the peak summer months. The east coast beaches in Queensland from Bisbane and the Gold Coast all the way up to Cairns are full of higher-end hotels and restaurants. However, cheaper options can be found as there are also plenty of hostels, budget hotels, and less expensive restaurants. The areas around the Whitsunday Islands and the launching points for the Great Barrier Reef can also be pricey. The larger cities of Australia, especially those in the southeast, can get expensive as well. While budget options are available, expect prices to be generally higher for most services. Tours and excursions into the Outback and central areas of Australia can sometimes be expensive due to the great distances that must be traveled as well as the prices for activities such as visiting national parks, hiking and trekking, etc. By far, the most expensive areas in South Korea are resort destinations. In the winter, skiing around mountain areas such as Pyeongchang can get very pricey, as hotels, restaurants, and entrance tickets charge a hefty penny. In the summer, various beach resort areas can experience similar price increases. Seoul can be expensive if you desire luxury. Although, with any large city comes diversity. So, inexpensive options for accommodation, food, and activities are plentiful. Just shop around if you're on a budget, as good values can be found at any price range. South Korea's rural countryside offers a good opportunity to view gorgeous mountains or rolling hills at an affordable price. Many smaller cities and towns are inexpensive while still providing plenty of fun activities and an authentic atmosphere. How you can save money when visiting Australia and South Korea? In Australia, booking ahead for hotels and hostels can often save you money and provide the ability to shop around. In South Korea, booking ahead for a hotel or hostel is also a great idea. Locally owned places are not always cheaper, but do tend to have more interesting charm. Public transportation in Australian cities is cheap and efficient, and sometimes even free. In South Korea, it's cheap, fast, and clean. Use it whenever possible. Look for long distance bus routes between major cities if renting a car is too expensive. Also, the trains in both countries can be an affordable and relaxing option. Instead of staying at a hotel or hostel, consider alternatives such as camping, couch surfing, or a home stay. Eat with the locals. Local restaurants serving Korean food tend to be much cheaper than places serving western fare. Korean restaurant owners have figured out that many visitors don't care for Korean food, and will price their menus to take advantage of it. Find some Korean food that you like, and don't be afraid to experiment. Your tummy and your wallet will like it!